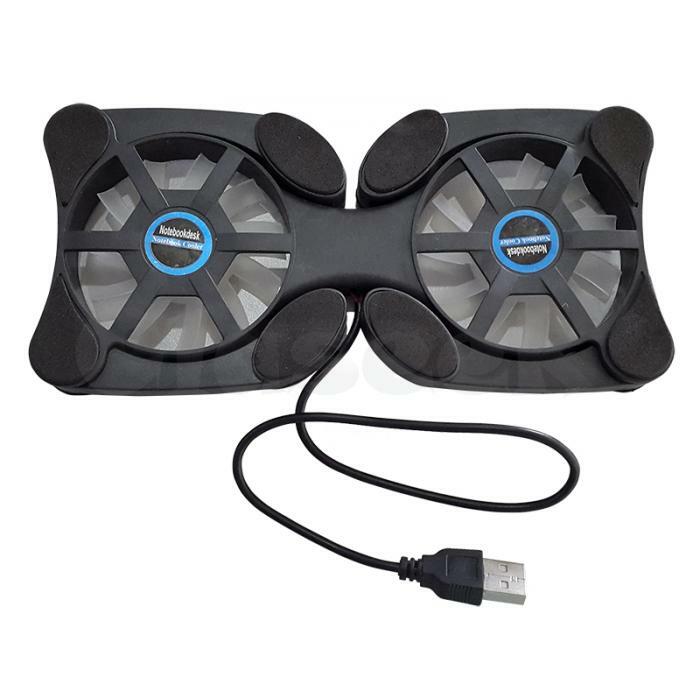 Flexible design to fit different notebook sizes from 7" up to 17"
Twin-fan to regulate air-flowing constant ventilation for notebook while in use. Anti-skid design to enforce notebook unit stability. Efficient USB power usage for twin-fan. Suitable Models: 7", 10", 12", 15", 17"